Long time readers of my blog will be aware of the little theatre series I have going on in which I’ve documented my visits to see Les Mis, Chitty, Lion King and Addams Family in the style of ‘come with me’ posts. In my long absence away I visited the theatre two more times - once to see the emotional tear-jerker Miss Saigon, the other to see the upbeat and exciting Mamma Mia, both at the Palace theatre in Manchester. 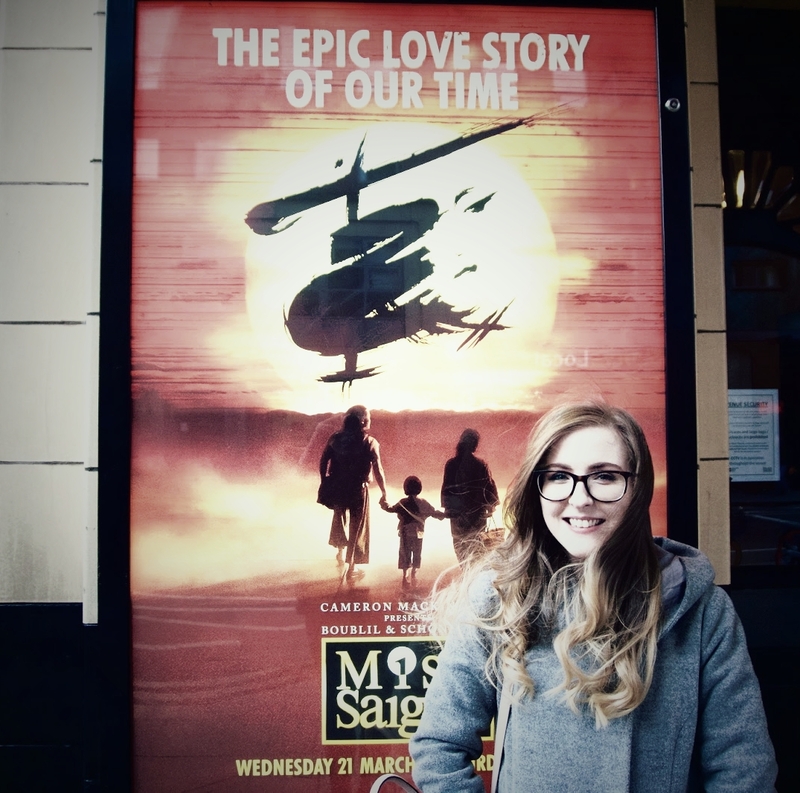 I thought I would document these visits in a joint post as opposed to individual, as it was a long time ago that I went to see Miss Saigon, and hopefully inspire other theatre lovers to add these shows to their must-see list! This theatre trip was actually way back in April, so my memories of it probably aren't as up to scratch as they could be! I'd been interested in the show for a while as I'd seen clips online from the broadway version and was aware of how loved the original had been, so as soon as I saw that there was a UK tour I immediately booked tickets. For those that don't know, Miss Saigon is set during the Vietnam war, and follows the tragic relationship of Kim, a South Vietnamese bargirl, and Chris, a United States Marine. Unfortunately, I'd had the ending spoiled for me before I saw the show live, but that didn't take away from how emotional this show made me. There were several times where I was holding back tears, especially during this one scene where they showed clips of what I'm assuming was footage of the war. The lyrics of so many of the songs are beautiful, and the emotion that actors can convey through a song astounds me every time I see a show. If you want to be moved and experience a beautiful, heart-wrenching story, this is the show for you! 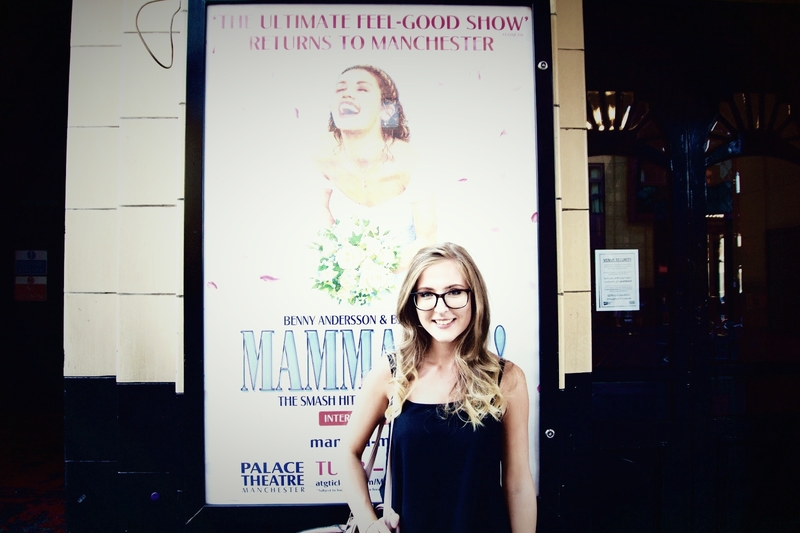 In complete contrast, back in July I went to see the upbeat, feel-good show that is Mamma Mia, and was blown away. Whilst I've seen funny and light-hearted shows before, there's something about Mamma Mia that leaves you in the absolute best spirit. I have seen the film numerous times so I was already very familiar with the songs and story, but the show is such a different experience in the sense that it almost feels like a live abba concert. They actually did an 'encore' at the end of the show where the entire cast came back on stage and invited you to stand up and dance/singalong as they performed three of abba's most famous hits. My favourite scene definitely remains as 'does your mother know that you're out' - the actress who played Tanya was incredible. If you love the film and want to experience a night of immense fun, definitely go and see this show! Have you seen either of these musicals? I love going to the theatre. I am heading to London soon so my plan is to see Wicked again because it is my all time favourite show!